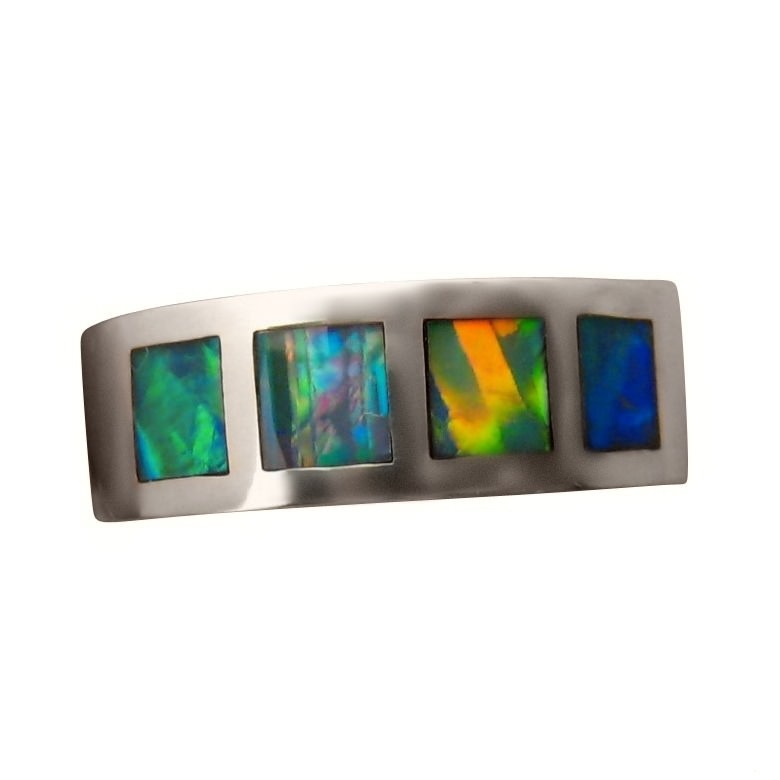 Mens Brilliant Colorful Black Crystal Opal Band in 925 Sterling Silver. 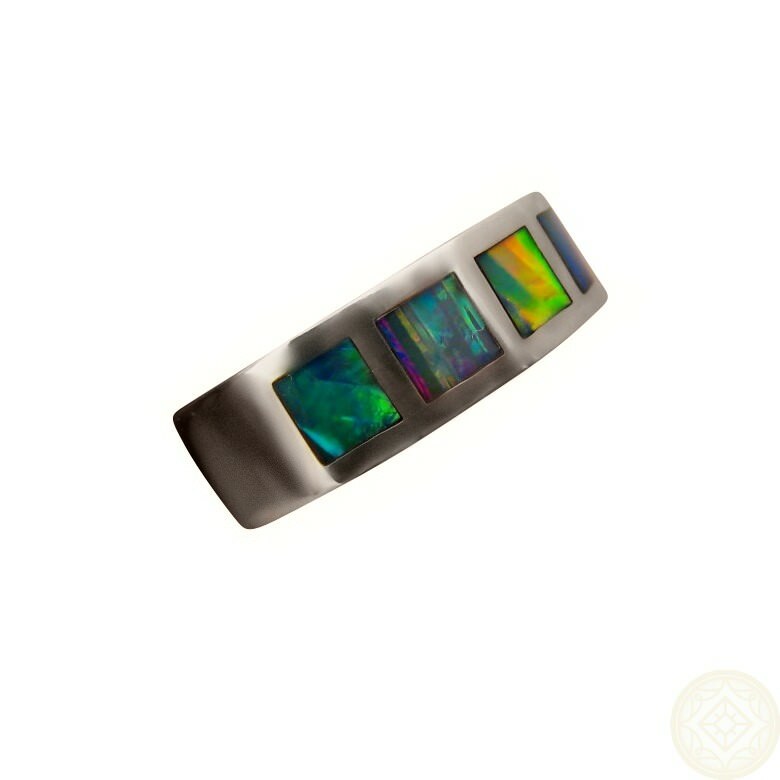 Mens Opal Ring in a 925 Sterling Silver wide band inlaid with Four Gem Grade Black Crystal Opals with Brilliant Multi Colors. This ring is not in stock but can be Made to Order and you can inquire about having one made through the ask a question link above.